Currently the Little Red River is receiving one unit of generation 24hrs daily. Expect this generation pattern to continue until the 2nd generator is back online or the Greers Ferry Lake drops to seasonal pool level. This pattern will create challenging wading conditions but provides favorable drift fishing in all sections of the river. We are seeing good caddis and March Brown hatches occurring on the lower sections of the river. For fly fishing, we recommend soft hackles, hare’s ear, caddis pupa, pheasant tails, sowbugs and streamers. 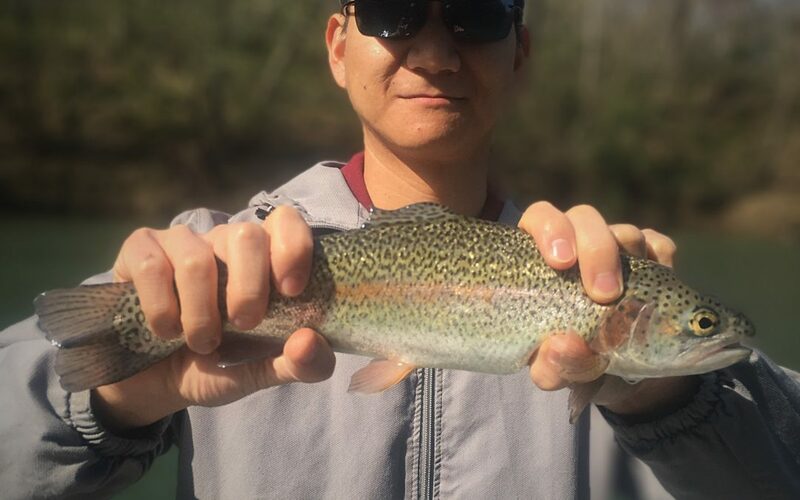 Hot pink and cotton candy colored bodies on gold heads are recommended for Trout Magnet spin fishing. Always check before heading to the Little Red River by calling the Corps of Engineers Little Rock District water data system (501.362.5150) for Greers Ferry Dam water release information or check the Corps of Engineers website (swl-wc.usace.army.mil) for real time water release and the Southwest Power Administration website (swpa.gov) to see forecasted generation schedule.